The film UNDERCOVER DUET (MAN LUNG DUT GWING) two nights ago held its premiere. Attendees included Ronald Cheng Chung Kei, Ava Yu Kiu, director Mark Wu Yiu Fai and producer Tin Kai Man. 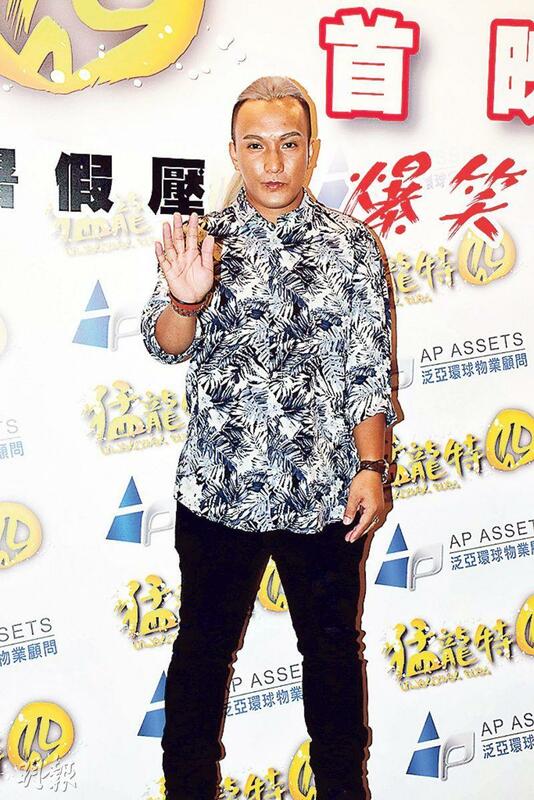 Unable to promote the film earlier before he was not in Hong Kong, Ronald two nights ago finally appeared. He said that he wanted to attend every promotional event, but he was working. He just returned from Taiwan where he was working on the Vincent Kok Tak Siu directed TIN SUN BUT DUI; he also said that the production has already wrapped, but as soon as he returned to Hong Kong he became sick. Even his wife and daughter were, luckily they have recovered. Two nights ago Ronald admitted that he will perform a concert at the Hong Kong Coliseum. He has already applied for a date next year and for now he wanted to perform three shows. If successfully it will be his first concert in ten years. Ronald said that the last time he said on the stage that he hoped he would not have to wait ten years for the next time. He never expected to truly wait for ten years. Will Yu Kiu be Ronald's concert guest? She admitted that she really wanted to, but she knew that Ronald will have many guests and he might want to sing himself; she also said that Ronald was one of her favorite singers as she knew all his songs.